In the Mediterranean, one of the primary occupations of the galleys was suppression of the North African pirates. "the oar powered Galliot was the best instrument since it could navigate calm, shallow and sheltered waters, and was not dependent upon the wind"
They were too narrow to mount broadside guns and therefore lacked the power of massed artillery. Against a grounded or becalmed sailing ship they could gain favorable position but were limited in their bow mounted firepower. Ramming a sailing vessel from astern or ahead would produce a glancing blow.... from abeam against a battery would be suicidal. Pursue and board would be the most likely tactic... against smaller Islamic vessels. There is an excellent book: "FIGHTING SHIPS AND PRISONS The Mediterranean Galleys of France in the Age of Louis XIV" by Paul W. Bamford Copyright 1973 University of Minnesota, LC # 72-92334, ISBN 0-8166-0655-2. It is well worth tracking down through your library. You are right on as to the worth of the Galley Fleet. It and its shore establishment constituted a primary component of the French Prison System well into the Napoleonic Era. 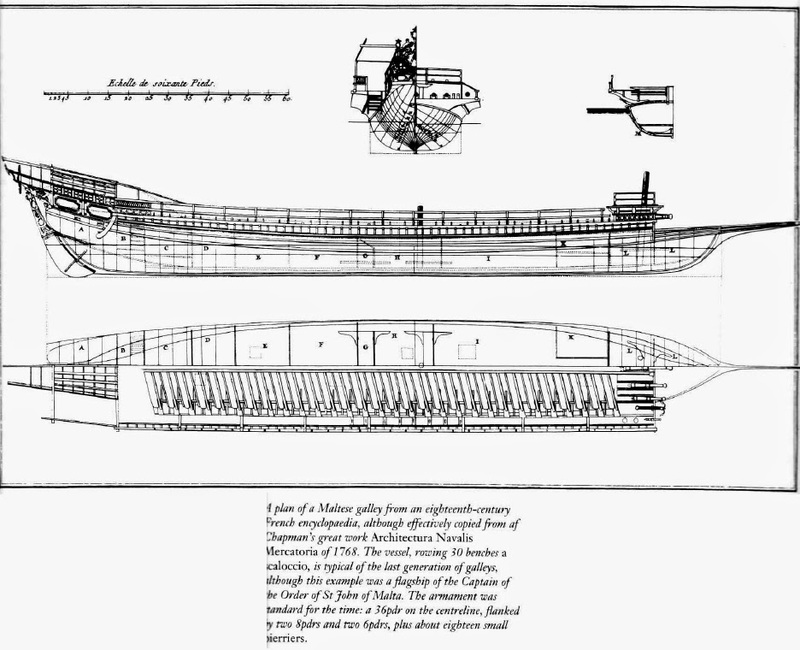 It is useful to remember that patronage of Malta and the Galley Fleet represented an important part of Louis' activities in support of the Catholic Church. The Chaplains were very important officers on the ships. The number of war-like sorties was next to nothing in spite of the theoretical uses they could be put to. The most important voyages were those to deliver ambassadors. While the number of prisoners from both France and the other continental countries (small German states) who paid to have France keep their prisoners was swelling far beyond the needs of the fleet, French representatives were busy buying Muslim slaves to send to the oars. While only a few officers were incorporated into the sailing fleet at the end of the separate galley fleet, the galleys lingered on. I suspect the extraordinary level of venality of the galley fleet afloat and ashore had more of a cross-over to the sailing fleet than is generally recognized. If nothing else, the association of a major component of the national naval establishment in the public mind with unjust imprisonment for life under cruel conditions, was a handicap to the navy.